Hi there! Welcome to Currently, where we share with each other what we are Currently up to and let you share your post through the link-up below. We love this link-up, where we can make new friends and build community. Join us. Thinking about: As I said on Twitter, I've had a rough work week. People you think you trust, people who you attempt to have relationships with... sometimes they let you down. Sometimes you remember that not everyone is made the same way, has the same values, lives with the same mindset. And I am reminded of this most often at work - when I'm in the world, not surrounded by my like-minded friends and fellow mothers, parents, etc. It's a hard lesson for me to remember. But I'm reminded that I can really only trust in Him. He is the only one I can lean on with complete and under surrender, and I will not be let down. He will never let me down. And that is good news. It doesn't matter how wronged I feel, how betrayed, lonely, bitter, angry... none of that matters when I sit at the foot of the Lamb. When I remember that He is alive. That He is forever. Listening to: Kari Jobe's song "Forever," where she sings exactly what I just said above. He is alive. I had never really noticed how great of a voice Kari Jobe has, but DANG, this girl can sing. If you take a listen, you really won't be disappointed. She's incredible. And the song is so so good. I've always been a lover of Spoken Word. I used to go to Poetry Slams when I lived in Flagstaff, and it was the greatest time. I even wrote some poems that I would only dream of saying at a slam. That would take some guts and lots of practice to do, but one day, I truly want to do it. So, putting the Word together with some poetry-slam inflections? I'm sold. What does this have to do with anything??? you're asking. Well, if you're still listening to that ^^^ song, you'll eventually get to some Spoken Word. It is SO powerful. Here's a snippet, but you can find all of the words here. But if there are words for Him then I don't have them. You see, my words are few, and to try to capture the one true God, using my vocabulary will never do, but I use words as an expression, an expression of worship to a Savior, a Savior who is both worthy and deserving of my praise, so I use words. I'm thankful for my incredible family members that fill my soul up with love like never before. I went to the sweetest baby shower this weekend, and the beautiful home (soooo beautiful!! ), the wonderful family and friends and warm atmosphere was a gentle reminder that there is so much more to life than what has been weighing me down. There is SO much more to petty ANYTHING. There are beautiful people around who live to make this world a better place, and I want to be surrounded by them. Maybe a little will rub up on me, too. Set up doctors’ and dentist appts for all three girls. // Not doctors' appts yet, but dentist appts, yay! I'm so excited for them to go to the dentist!! Organize the laundry room. // So, instead of the laundry room, my friend Tiff and I absolutely destroyed Siena's room. I really wish I had taken a before picture, because you would be in shock at how awful it looked before. It was totally the storage room and we just threw her toddler bed in it (I know, we're horrible). Now that she has her own room, with her own dress up corner, and isn't stepping on random bills when she gets up in the morning, I feel like a nicer mom. Go through my clothes and get rid of things for Goodwill or trash. // I didn't get to go through MY clothes yet, but I did go through all of the toys (oh my gosh, the toys!) and did a major overhaul with them. It felt great to purge things. Set up doctors' appts for the girls. Spend an hour alone with the hubs with no distractions for at least five nights. Organize the dang laundry room. I also have a few announcements! A new blogger friend, Jenna of Dearest Love and I are excited to invite you to our link-up called "Coffee Date." This will be a bi-monthly linkup, and we'd love for you to join us for the first one Friday, May 30th! Here's what the coffee date will be like: We will share our highs and lows of the week and will offer all of you to share yours in the comments. Also linked with Rebecca at Simple as That. 1. Link your Currently post below! Entries unrelated to the theme will be deleted. 3. The link up starts on Mondays, but you can join any day of the week! 4. *THE MOST IMPORTANT RULE* We are each here to encourage each other and build a community of women and friends. :) Comment on the blog post directly before yours to help support and get to know each other. If you do not do this, your post will be deleted from the link-up. 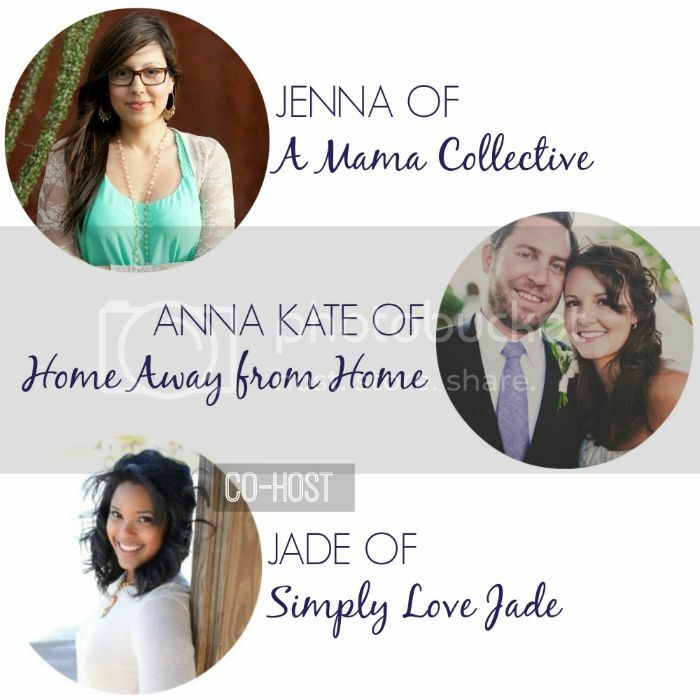 If you are interested in co-hosting, please email Jenna at info(at)amamacollective(dot)com to get on the list! Here’s the template for you to copy and paste and do a post as well — link up with us below!